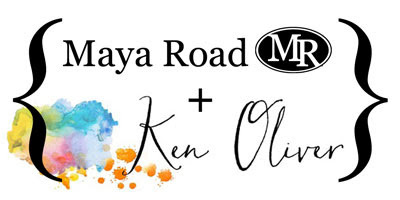 Hey blog friends and welcome to day one of a designer challenge with some of my crafty friends and some of our crafty friends at Maya Road. We're teaming up this week to highlight some of the newest paper cutting dies from Maya Road, along with Stick It adhesive and the amazing Tool-It-All! First up today is Laurel Beard...I love her style! She uses one of the new Maya Road dies as a mask on a card base that she colors with Color Burst! Her project shows a really innovative use of die cut paper as a mask! 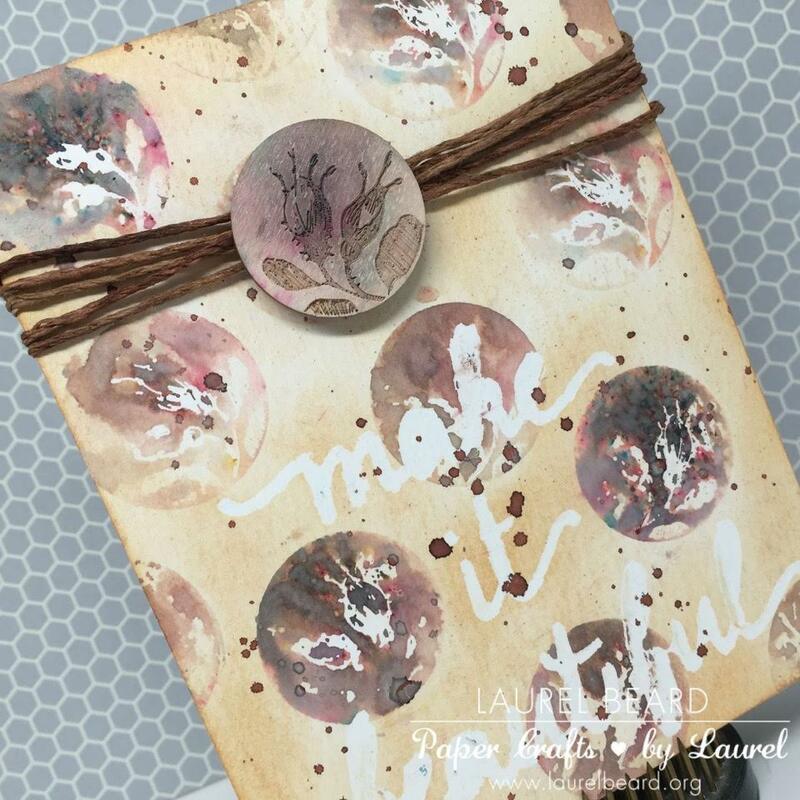 I know you will want to follow her blog today to learn more about how she created this stunning card! And make sure to leave a comment for Laurel...this is a contest and when you leave a comment you'll be eligible for a prize pack that includes a Tool-It-All and a pack of Stick It! Here's a link to Laurel's Blog. I know you will love her fun style! Leave a comment for her and you'll be eligible for a fabulous prize pack that includes a pack of Stick It Adhesive and a Tool-It-All. Visit our friends at Maya Road too...their designers have been busy creating some fabulous projects! Check back with us over the next two days when we'll have more chances for you to win and more beautiful creations to share! Just remember to leave a comment on the designer's blog and you'll be entered in out give-a-way! And, please share our posts to your Facebook and Instagram feeds. Let your friends know about our fabulous give-a-way! Our contest will stay open until Sunday night, October 25th. The prize winners will be announced on Monday October 26th. Thank you again for stopping by today...I know you are going to be impressed with the lovely art you'll see today! I can't wait for you to see Laurel's art. This was a great card by Laurel. This is really cool! And I love that sentiment! Just bought an art journal and the cover needs to be embellished ... this is the perfect sentiment for it! Love this card from Laurel. She's so talented. What a gorgeous card!! I left Laurel love on her page but couldn't resist leaving a little love here also!! I love finding new ways to use your Color Bursts and can't wait to give Laurel's technique a try!! Wood pieces and chipboard be forewarned! You will be Color Bursted into beauty in no time now! See you tomorrow! Love this card that Laurel did! So creative! I've used your Stick It and it works great. I have the Color Burst but haven't tried them yet. Beautiful way to use the dies. This is so rustic and beautiful your art is wonderful! Such a lovely card and a wonderful new technique to use to make our cards stunning! I wouldn't have thought of using sepia all by itself but I love it and am off to experiment! Thanks so much for showing the lovely artistic work of these stampers!! awesome technique!!! thinking outside the box--which is hard for me-so thanks for sharing! I look forward to seeing more of your Artwork!!!! Such a stunning card! Keeping it monochromatic really showcases the pieces! Your card is very creative Laurel, I love it. Unique and lovely card. Anxious to try some of your fantastic products. Gorgeous textures and colors! Lovely card! I like the neutral tones.